A digital frame would make an excellent gift. Looking for cheerleading coaches' gifts doesn't have to be frustrating. There are a variety of gift choices that will let your coaching staff know how much you love and appreciate them! Consider your coaches' personalities. Choose something that you think they will appreciate rather than going with the same old plaque or cheerleading coffee mug. 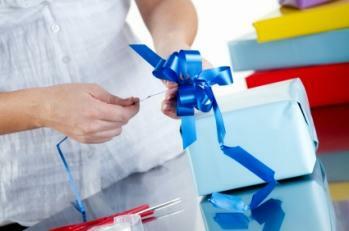 Ask one or two parents who are involved in the booster club to help select gifts. Parents will tend to do a better job researching options that are within the squad's budget. Never make contributing to the coaches' gifts mandatory. Most people understand the expectation and if they are able to contribute, they will. Suggest a specific contribution. In lieu of just asking for contributions and hoping it will cover what you'd like to get, ask for a specific contribution so that people have an idea on what to give. Make sure the whole squad is involved in giving the gift. You don't want it to seem like only a few people are involved in giving the gift. A coaches jacket that matches the squads' jackets for those times when it gets really cold. Remember that while you're cheering and moving, your coaches are sitting watching the game and it can get quite cold depending on where you are! Along the same vein, consider getting your coaches matching ear warmers, gloves or scarves monogrammed with their names in school colors. The gesture will be especially appreciated when the temperature drops. An honorary uniform. This is a great idea especially if your coach is male. Making someone a permanent, honorary member of your squad is quite an honor that won't be missed. Present your coaching staff with an honorary uniform and a plaque that can be displayed in the school's trophy case. Flowers for female coaches are always appreciated. A heart felt card with messages from each member of the squad will go a long way towards letting your coach know you appreciate her. Jewelry is a great present for a coach. Something like a pin or pendant that she can wear will truly touch her heart and let her know that the squad thinks that she's the best! A unique trophy in the shape of cheerleading memorabilia such as a golden megaphone or pom pon statues can decorate her office or desk and let everyone else who comes in know how much her squad appreciates her efforts. A pack of markers and a poster signed by all of the girls saying, "You've Marked Our Lives" is super cute and heart warming. Decorate your the door to the coaches offices, or create a big sign for your coach to run through during one of the home games just like the players run through at certain big games. Create a brag book for your coach using pictures that were taken during the year as well as adding personal notes from each girl.